Last month I had the marvelous opportunity, as a poet, of participating in the annual conference of an international scientific organization, the South American Institute for Resilience and Sustainability Studies (SARAS), held every year in Maldonado, Uruguay. SARAS was founded in 2005 by Marten Scheffer of Wageningen University in the Netherlands and Néstor Mazzeo of Universidad de la República in Uruguay as a transdisciplinary institute designed to generate critical insights toward allowing South America to build a sustainable future. Members of SARAS include professors from universities in such countries as Brazil, Chile, Canada, Spain, Sweden, the US, and Uruguay. Since 2010, the annual conference has addressed important scientific questions for South America, but it has always incorporated the arts as part of its vision. Indeed, the theme of the 2013 conference was “Imagining Resilience: Art-Science Collaboration for Sustainability.” In the past, though, the visual artists have been featured. I wish more scientific conferences had a vision that included the arts. it will be gradual, consensual, more or less. than our neighbor’s tsunami, and less happy. 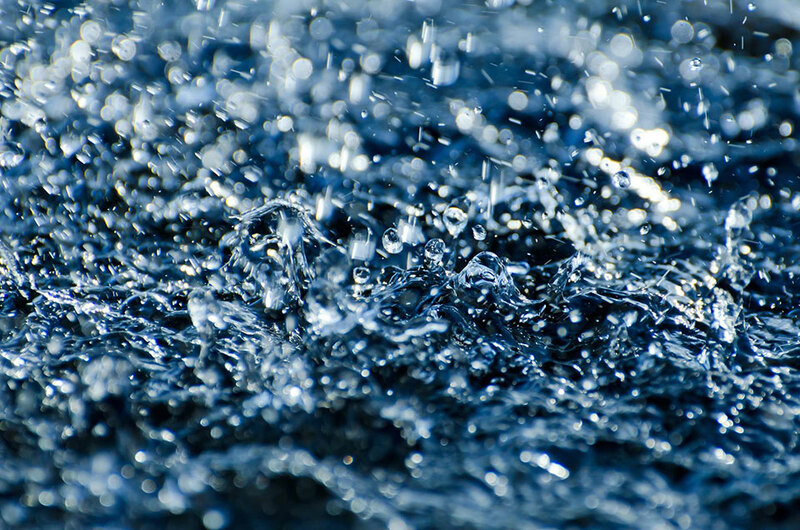 we will all live with its spume. As editor, I arranged for the work to be translated by poets who are also translators. 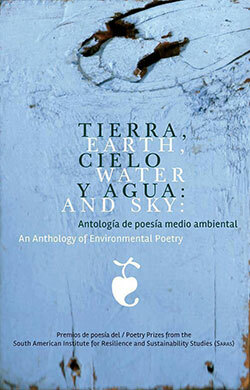 The Uruguayan publisher, Yagaurú, designed and printed the anthology, Earth, Water and Sky / Tierra, agua y cielo: An Anthology of Environmental Poetry, which was distributed at the conference. On March 1, the poets and I attended the opening day of the conference held at the Centro Universitario de la Región Este in Maldonado, Uruguay, a day that was also open to the public. More than two hundred scientists, economists, and students filled a large lecture hall to overflowing for an event than lasted from morning to evening. There were panels and papers on policymaking on a national and regional level and on global pressures and land-use decisions. The emphasis on this opening day was on the practical—how to make sure the data and analysis the scientists developed reached politicians, farmers, and businesspeople so that all groups could work toward consensus and action. In between panels, the three prizewinning poets read their work, with the words projected behind them in English and Spanish. The poets were thrilled to read for such a large crowd, and to read to a room filled with scientists. The response from the audience was enthusiastic. But what I found most fascinating were the individual connections made. For example, I saw Sebastian Rivero, a poet who often writes about Uruguayan history and its connection with its rivers, nodding and making notes during the presentations about the Santa Lucía River basin, which supplies water to the capital, Montevideo, and is suffering from contamination issues for the first time. I was touched when the leaders of the workshops that would be held in the days following told me they intended to set the tone for discussion by opening and closing their sessions with poems from the anthology. I left Maldonado wishing more scientific conferences had a vision that included the arts. But more broadly, it was a day that made me realize that all our closed worlds—conferences for writers, translators, historians, economists, engineers—would benefit if we opened our doors to others and their different but complementary visions of the future. Ignacio Fernández de Palleja is an Uruguayan poet. He works as a teacher of Spanish and Portuguese. He has participated in various literary events, both as an organizer and an invited reader. Ron Paul Salutsky is author of Romeo Bones (Steel Toe Books, 2013) and the translator of Anti-Ferule (Toad Press, 2015, from the Spanish of Karen Wild Díaz). His poetry, translations, fiction, and scholarship appear in Colorado Review, Prairie Schooner, Narrative, John Clare Society Journal, and América Invertida: An Anthology of Emerging Uruguayan Poets. Jesse Lee Kercheval is a poet, novelist, and translator. She is the recipient of a 2016 NEA Fellowship in Translation and the editor of América invertida: An Anthology of Younger Uruguayan Poets, which is forthcoming from the University of New Mexico Press. Her translations for WLT include work by Circe Maia, Tatiana Oroño, and Idea Vilariño.